Full dentures are a good option for patients who are missing all of their teeth. Full dentures fit on your upper and lower jaws. Dr. Walker will work with you to create beautiful, natural-looking dental devices that will give you back your smile! You can take out your dentures for cleaning (and don’t forget to brush your gums, too!). Full dentures will return your ability to eat a wide variety of nutritious foods and will also improve your speech. You may consider getting dental implants as anchor points for dentures. Two implants with a denture can make a huge improvement in comfort and satisfaction. If you have a few missing teeth, then Dr. Walker may fit you for partial dentures, also known as removable bridges. Removable bridges can be made of cast metal and acrylic, all acrylic with clasps, or flexible nylon. They can attach to your existing teeth or to an implant. Taking care of your partials is as easy as taking care of your real teeth, too. And partials can give you back a natural, healthy-looking smile — and no one will know the difference! 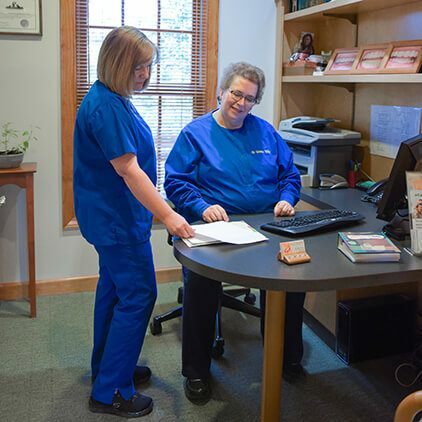 At the Kernersville, NC dental practice of Dr. Veronica Walker, we’ll evaluate your smile gaps and create a viable treatment plan to restore beauty and health. Dr. Walker will discuss your options with you and decide if full dentures, partial dentures, or other restorative treatments will benefit your smile. Contact our Kernersville, NC dental practice if you need dentures or partials. At the office of Dr. Veronica Walker, we take care of residents in Kernersville, Winston-Salem, Greensboro, High Point and surrounding towns.